If you own a business, have written a book, are a speaker on the circuit or otherwise building your personal brand, one of the fastest path to boosting your credibility is to be seen on TV as an expert. Because who is on TV? Experts, of course! One of the main reasons I love helping experts to get booked on TV and nail their segment, is that with TV appearances, everyone wins. But how does one go about getting booked on TV? In my experience in booking experts on TV across the US for nearly ten years, I’ve learned a few things about how TV producers of live TV shows think and what they need. I’ve been teaching my process to experts and also representing experts across the US for several years now. Here is some insight into my process so you can start to see the possibilities for yourself. Can we tie the business in with something timely that is going on right now so they want to book this guest ASAP? Be aware of what is going on in politics, pop culture, holidays, and so forth. If you have a great idea that centers around something timely like this, you are more likely to get booked right away while the topic is hot. You can get really creative with all kinds of national holidays. There are 100s if not 1000s of holidays every month. Using holidays is one of my favorite angles to use in pitching. Is there a way we can tie-in a celebrity with the business? Think outside the box here. For example, once I was working with a therapist who had been doing quite a bit of keynote speaking and workshops about impostor syndrome. When I heard that Viola Davis, who had just won her first Oscar® for her role in the movie Fences, was quoted as saying that she suffers from this syndrome, we used this as a hook to book my client on TV the following week. What practical advice can this expert offer that is appealing to the masses? Sometimes the most basic idea is the best idea. I once booked a client to show how to wash your face. Talk about B-A-S-I-C.
Are there fun facts, a new study or some new and interesting statistics from my client’s industry that they can provide insight to or show how it affects the local market. Every industry has an association that likely publishes reports and updated industry stats. If those stats are appealing to the general public, you may be able to use them to appear on TV. Or if you create your own study, like a client of mine last year did about how people use technology in retail environments, you can use that as well. Use these questions to start thinking about your own opportunities to be booked as the next guest on your local lifestyle TV show. Then put your time and energy into duplicating your success in nearby markets and learning how to become the kind of guest that gets asked back again and again. Meredith Liepelt helps speakers, authors, and experts to build their brands by using publicity strategies. 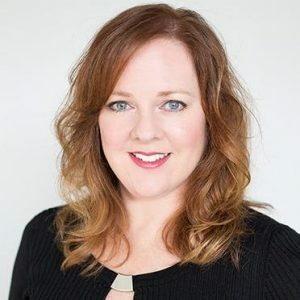 She offers personal branding coaching, media relations, and her flagship program where she books experts on lifestyle TV shows across the United States. For insights and inspiration, visit www.RisingStarPublicity.com.